HoREA said that should only apply the increase of the adjustment coefficient of HCM City land price in 2019 in the threshold of 5 - 8.33%, instead of 19 - 30% as expected. 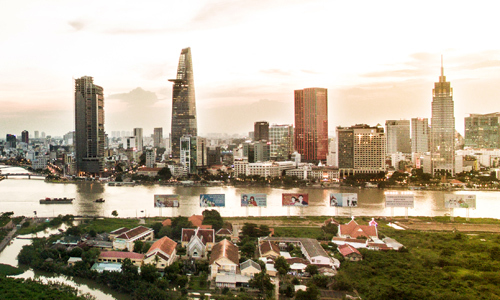 On February 21, 2019, Ho Chi Minh City People's Committee issued a report to the HCM City People's Council to issue regulations on land price adjustment coefficient in 2019 in this city. Accordingly, the city leaders still maintain the same point of view with the proposal of the Department of Finance - Department of Natural Resources and Environment is to increase the land price adjustment coefficient in 2019 to 0.4 times compared to 2018. In fact, the land price adjustment coefficient applied in 2017 is 2 times that of HCM City People's Committee regulated and announced; 2018 is 2.1 (up 5% compared to 2017). However, in 2019, it is proposed to add 0.4 times to 2.5 times, equivalent to an increase of 19-30% compared to 2018. Before this development, Ho Chi Minh City Real Estate Association (HoREA) sent a written request to the City People's Council, People's Committee and Standing Committee with recommendations to be cautious in making decisions on the annual land price adjustment coefficient. 2019. The view of the association is that, HCM City should continue to apply the increase in the land price adjustment coefficient in 2019, which is similar to the calculation of the increase in the land price adjustment coefficient in 2018, ie only within the 5% limit. -8.33%. Temporarily not apply the proposed increase of 19-30% because the adjustment factor of the Department of Finance is too high and unreasonable. HoREA said that the land price adjustment coefficients along with the land price table (adjusted every 5 years) will have a significant impact on the price of the real estate market. This adjustment coefficient has a profound impact on households and individuals when implementing legalization procedures for land use rights outside the limits and for businesses and small-scale real estate projects having a collection of land use fees under VND 30 billion. The construction of the current land price adjustment coefficients leads to households and individuals in suburban districts and being subject to a higher rate of adjustment of land prices than in urban districts, directly to the majority of middle-income people and urban low-income people who live far away from the center. Land prices and land price adjustment coefficients directly affect the obligation to pay land use fees of a large number of households and individuals, most of whom use houses to stay, do not have a business and lead to many households had to apply for debt of land use fees. The association said that increasing the adjustment coefficient of HCM City's land price is too high is a sensitive issue, should be considered carefully to ensure stable social security of housing. Because the hasty decision may lead to an increase in land use debt in the coming time. In addition, the total amount of State budget debt of real estate in 2018 increased by 38.2% (very high level) compared to the total debt in 2017, which is also a phenomenon that needs to be studied and decoded to have appropriate policies.